In 2009 Priscilla Chigariro-Gessen founded Zimbabwe Fashion Week. Six years later, Chigariro-Gessen finds herself and her brand in the middle of a controversial dispute between her and a third party service provider (Jennifer Deiner of Group of Creatives) that she contracted with to help produce Zimbabwe Fashion Week. Deiner is the wife of the renowned South African fashion photographer Simon Deiner of SDR Photo. Chigariro-Gessen contracted with Deiner in 2013. The relationship according to Chigariro was good. So, she renewed what was an oral contract in 2014. Unfortunately, in 2014, things fell apart. It is alleged in a press statement provided by Zimbabwe Fashion Week that Deiner defamed the event and the founder because the founder terminated contractual relationships with Denier. To be more precise, organizers of the fashion week claim Deiner allegedly stated that Zimbabwe Fashion Week starved its models, did not pay them, was incompetent and actions by Zimbabwe Fashion Week organizers forced designers that initially registered for the event to pull out. 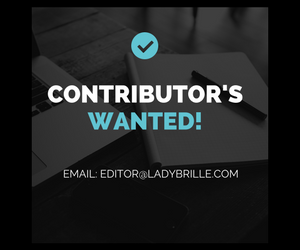 Chigariro-Gessen sets the record straight on the aforementioned allegations in this 26th episode of The Ladybrille Woman Show. She also addresses her business relationship with Jennifer Deiner and what led to the business falling out. Ladybrille extended the same opportunity to Jennifer Deiner. We will bring you her version of the facts when she responds. 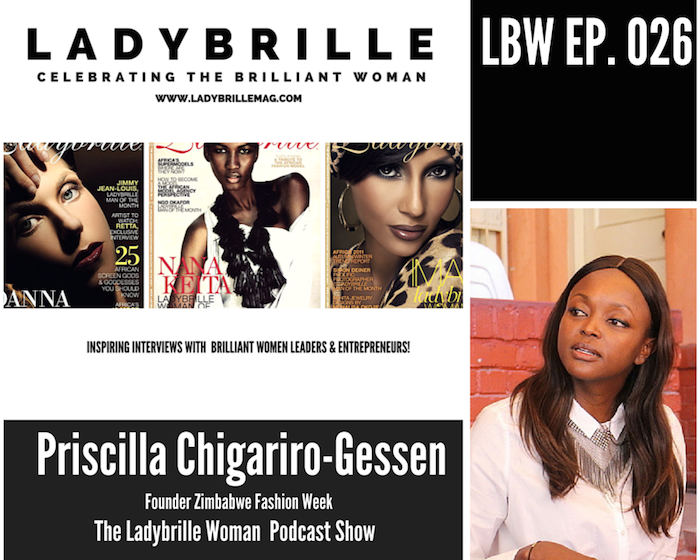 The LADYBRILLE WOMAN Show is the pioneer show for celebrating the brilliant woman (Ladybrille) and shinning the spotlight on African women entrepreneurs. The show features inspiring interviews from entrepreneurs with a heavy focus on women entrepreneurs. It also focuses on fashion law, marketing and promotions and business strategies.